We’re here to help. There are multiple ways to contact BART depending on your needs. Phone operators are available at 510-464-6000 from 8:00 am to 6:00 pm from Monday to Friday to help direct your call. Send us your email message online at the Comments, Inquiries and Complaints page. 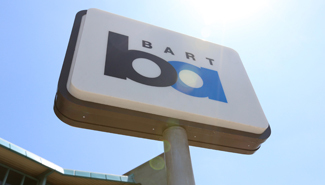 BART responds to customer service inquiries via Twitter Monday - Friday from 9 am to 5 pm. You can directly report biohazards found in trains or stations through our "Report a Biohazard" form. Our rapid response biohazard cleaners are here to help. Need help planning a BART trip? Call the BART Transit Information Center. You can also see the Station Agent for on-site assistance during regular BART hours. Si desea recibir ayuda para planificar su recorrido en tiempo real, sírvase poner en contacto con el Centro de Información sobre el Transporte de BART llamando al 510-465-2278, de lunes a viernes, de 8:00 a.m. a 6:00 p.m. (cerrado los fines de semana y principales días festivos). Hable con el Agente de la Estación si requiere ayuda durante horas hábiles de BART. Trip planning tools are also available on the BART homepage and on the official BART app. Call BART Police Dispatch to report crimes in progress, suspicious activity, or to file a police report. Download the BART Watch app to discreetly text BART dispatch to report criminal or suspicious activity. Your request should be specific and should describe the records in detail (including time frame if applicable) to ensure identification of responsive records. Access to District records are regulated by the California Public Records Act.